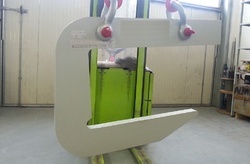 We are a leading manufacturer, supplier and exporter of a precision engineered range of EOT Crane, Goliath Cranes, Gantry Crane, Industrial Crane, and Industrial Hoist, etc. 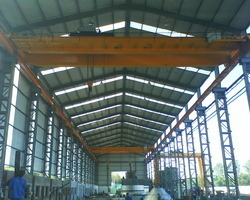 Manufacturer of a wide range of products which include heavy duty eot crane, double beam eot crane, single girder eot crane, industrial eot crane and single beam crane. 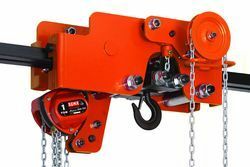 Offering you a complete choice of products which include goliath crane, heavy duty goliath crane, double girder goliath crane, electric operated goliath crane and portable goliath crane. 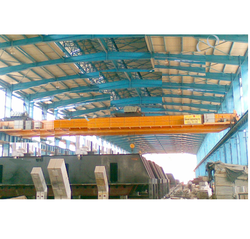 Leading Manufacturer of industrial gantry crane, portable gantry crane, double girder gantry crane and heavy duty gantry crane from Ahmedabad. 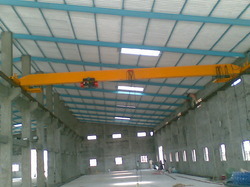 Providing you the best range of industrial crane, cantilever crane, electric crane, heavy duty crane and jib crane with effective & timely delivery. 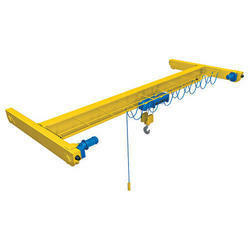 We are a leading Manufacturer of double girder cranes, single girder electric crane, single girder cranes and single girder top running crane from Ahmedabad, India. 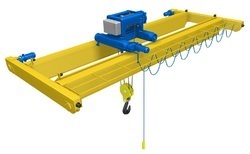 Our product range includes a wide range of industrial material handling crane and material handling crane. Offering you a complete choice of products which include single beam eot cranes, double girder top running bridge crane, bridge crane and single bridge crane. 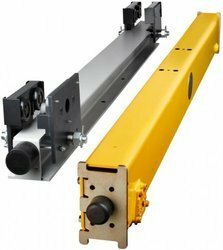 Prominent & Leading Manufacturer from Ahmedabad, we offer electric hoist, wire hoist, monorail hoist, portable hoist and remote control hoist. 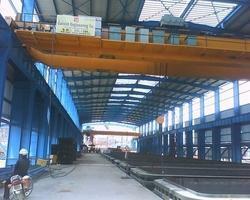 Providing you the best range of double beam overhead crane, overhead crane, single girder overhead crane, double girder eot crane and electric overhead cranes with effective & timely delivery. 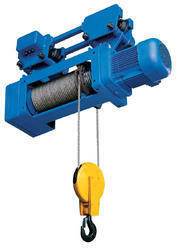 Manufacturer of a wide range of products which include rope hoist, wire rope hoist, crab unit and manual crab. Pioneers in the industry, we offer heavy fabricated structures, shed steel structure, prefabricated shed, ware house shed and workshop shed from India. 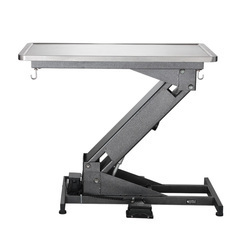 Manufacturer of a wide range of products which include overhead trolley. 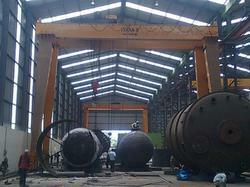 Pioneers in the industry, we offer crane wheel assembly and crane rope drum from India. Leading Manufacturer of electric lift, ganesh maintenance lift, material handling lift, goods lift and platform lift from Ahmedabad. 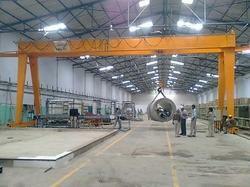 Providing you the best range of multispan underslung crane and underslung crane with effective & timely delivery. 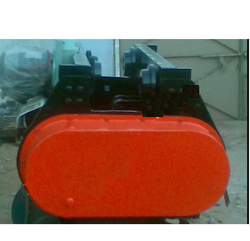 Manufacturer of a wide range of products which include coil lifter. 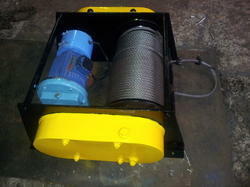 Our range of products include electric winch and power winch. 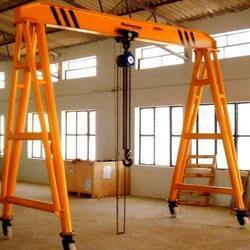 Our product range includes a wide range of lifting machine and material lifting crane. 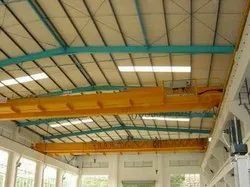 Offering you a complete choice of products which include single girder overhead traveling crane, electric overhead traveling crane, double girder overhead travelling crane and overhead traveling crane.